Rossini was born in Pesaro, Italy, on 29 February, 1792 into a musical family (his father played the french horn and his mother was a singer). As a boy he learnt the horn and singing and sang in at least one opera in Bologna, where the family lived. He studied there and began his operatic career when, at 18, he wrote a one-act comedy for La Fenice in Venice. Rossini was born in Pesaro, Italy, on 29 February, 1792 into a musical family (his father played the french horn and his mother was a singer). As a boy he learnt the horn and singing and sang in at least one opera in Bologna, where the family lived. He studied there and began his operatic career when, at 18, he wrote a one-act comedy for La Fenice in Venice. Further commissions followed, from Bologna, Ferrara, Venice again and Milan, where La pietra del paragone was a success at La Scala in 1812. His first operas to win international acclaim come from 1813, written for different Venetian theatres: the serious Tancredi and the farcically comic L’italiana in Algeri. Two operas for Milan were less successful. In 1815 Rossini went to Naples as musical and artistic director of the Teatro San Carlo, which led to his concentration on serious opera. During this tenure he also composed for other theatres, and from this time date two of his supreme comedies, written in 1816 for Rome, Il barbiere di Siviglia and La Cenerentola. 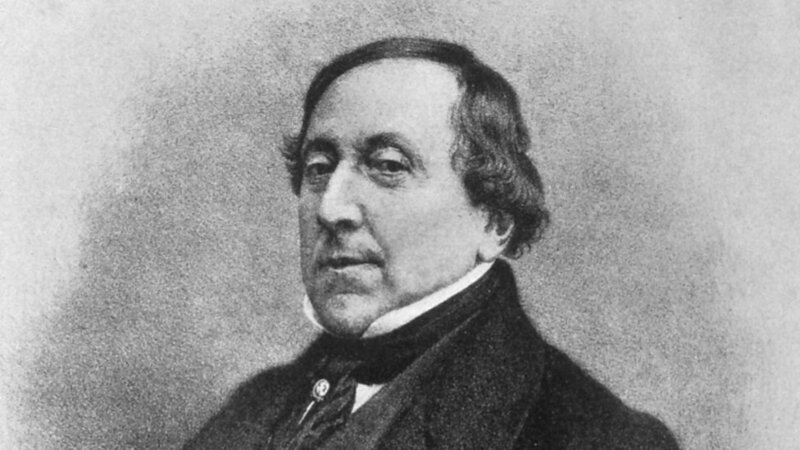 Over the next thirteen years, Rossini wrote operas for Naples, Venice, Bologna, London and Paris (where, in 1823, he took on the directorship of the Théâtre-Italien).